Remember the good old days when our smartphones had just one rear camera? Nowadays you’re a dinosaur if you don’t have at least two or more cameras with multiple functions. 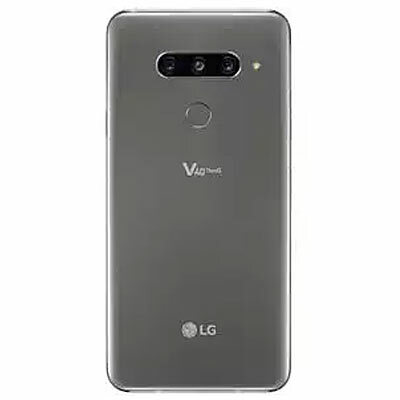 The LG V40 ThinQ has pushed this a bit further with five in total, wrapped around a lot of functionality and a cool design. But do you really need this much complication and can the phone itself better the rest as an overall package? From the off the V40 ThinQ has a very slick design and looks very elegant with its glass back. Everything looks simple and elegant with a metal rim, tall 6.4in display which is covered in Gorilla Glass 5. The OLED has a 19.5:9 aspect ratio with a 3120×1440 resolution. The display is extremely sharp which is a big improvement over the previous V30. Inside the phone sits a Snapdragon 845 processor with 6GB RAM, which is expandable up to 64 and 128GB via a microSD card. The phone also features IP68 water and dust resistance, wireless Qi charging compatible, a 3.5mm headphone jack and an extremely loud single speaker. The battery is a 3,300mAh cell with a respectable all day use if you’re careful. Everything here weighing in at a respectable 169g. The software interface is more or less the same as the one found on the G7, feeling slicker and more streamlined than ever before. 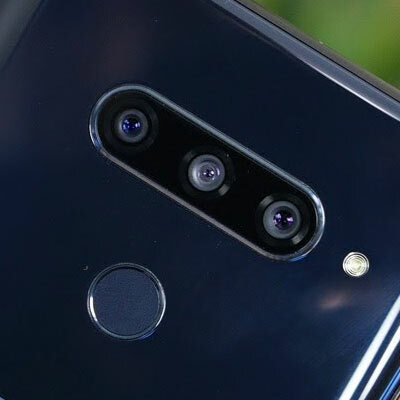 The three rear cameras consist of a 12-megapixel unit, which has an aperture of f/1.5, an optically stabilized lens and a 78-degree field of view. The second camera is 16-megapixel with a 107-degree wide-angle view and f/1.9 aperture, with the last being the telephoto camera having 12 megapixels, a 45-degree view and an f/2.4 aperture. All three cameras combined cover the standard, wide-angle and telephoto range to give one of the most versatile cameras setups available. The two front cameras are lower resolution and limited to 8MP with an 80-degree, f/1.9 lens and a 5MP 90-degree, f/2.2 lens. They are fine for doing the usual selfie thing or video chat with a wide angle mode for good measure. Depending on the shot you want and your subject, it only takes a few taps on the phone to go from extreme close-ups to very wide-angle. The included camera app gives a preview of all three cameras field of view, giving you some simple choices as to which view to capture. Not sure which one to choose, then you can call up Triple Shot mode, which will capture a still from all three cameras and you can choose later which you like the best. The theory of having multiple lenses to cover all bases seems sound in principle, but the balance hasn’t quite been hit. Firstly, each camera has a different resolution and aperture from the others, which means quality can vary. The main camera produces the best quality images, while the telephoto camera which has the smallest sensor, smallest aperture, and no stabilization and doesn’t work as well in low light. There’s also a lot of over sharpening and oversaturation of the images. Probably an in the box way to make the images look as good as possible on a smartphone screen. It’s just when you get the images on a very large monitor or TV that the faults start to become obvious. One downside of the Triple Shot mode is that it captures each camera’s image one at a time, rather than all at once. When taking completely static subject matter, this may not be a problem, but it’s a massive headache with moving subjects. In other words, in the end you just end up using the one camera view. There are portrait style modes to replicate things like background blur and lighting effects, but these have a long way to go before they are a start looking anywhere near realistic. The rest of the portrait modes are a simple way to capture your subject matter if you want to go the full auto route. There are a ton of manual controls for both video and photos, but if you want to go fully automatic you can do that as well. 4K at 60fps is impressive, but you do lose the facility of blur reduction. The V40 ThinQ does have stabilization which can be used in all other modes and you really can’t go wrong with functionality and performance for video with this unit. in other words, the phone works better with video than stills. The sound is also extremely impressive. The built-in Hi-Fi quad DAC makes a big difference to the sound quality. Plug-in some decent quality headphones, then you will definitely hear a difference. As a smartphone, the V40 ThinQ is the best one in the LG lineup, but more of a natural evolution from the G7. The audio on the phone is excellent, especially with the keeping of a headphone jack. The display is also fantastic and up there with the rest of the LG lineup. The featured cameras may not be individually better than the competition, but there’s plenty of versatility along with all the different shooting modes to keep you occupied for a long time. If you want the ultimate in image quality, you may want to choose a phone from the competition, but if video is your main thing, you really can’t go wrong with the V40 ThinQ for quality and output. It’s also not the cheapest of units out there, but with the unique camera set up the V40 ThinQ definitely has plenty to offer.